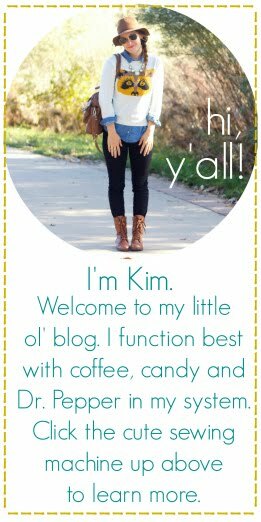 so...i made an executive decision about the blogiversary giveaway party ((i can do that because it's my blog. hello power trip)). before i make it all blog official ((it became twitter official last night)) i want to explain some things. this giveaway is to celebrate a year under this blog's belt. it is also, just as importantly, to highlight & feature handmade shops. finally, it's to thank you, Yellow Songbird readers, for being so great. giveaway days are now october 14th & 15th ((sadly, this means no favorite things friday post)). giveaways will CLOSE sunday night at midnight & the winners will ALL be announced on monday, october 18th. reminder: you have to be a follower to enter the giveaways. i'll know if you aren't, so let's play fair & be honest. if you aren't sure if you are a follower, scroll down on the left side bar & click the "follow" button. easy peasy. October 17th is a Sunday. Not a Monday. So does that mean the giveaway is still the 14th and 15th? It would be so cool to win something on the 17th because it's the day we're going back to the US!! Guess I'll get to meet you at Creative Estates. I will be speaking!! I AM SO excited!! Plus congrats on winning my giveaway! !